For some reason this dish screams 1980’s to me. I’m not sure why as I don’t remember ever eating this in the 80’s but if I did it would have been a regular on the dinner table for the last few decades. 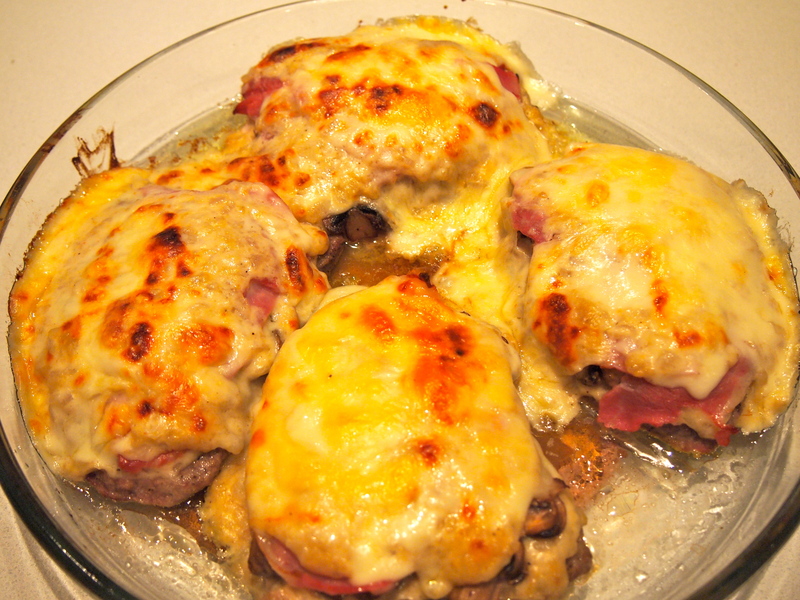 In some ways this dish is similar to Veal Cordon Bleu in that the veal is paired with ham and cheese but this is a little lighter as the veal isn’t crumbed. It’s a great do ahead dish as all the components can be prepared ahead of time and then assembled and baked when you’re ready to eat. So get out those shoulder pads, turn on some Duran Duran and take a delicious trip down memory lane. Season the veal with salt and pepper and lightly dust in flour. 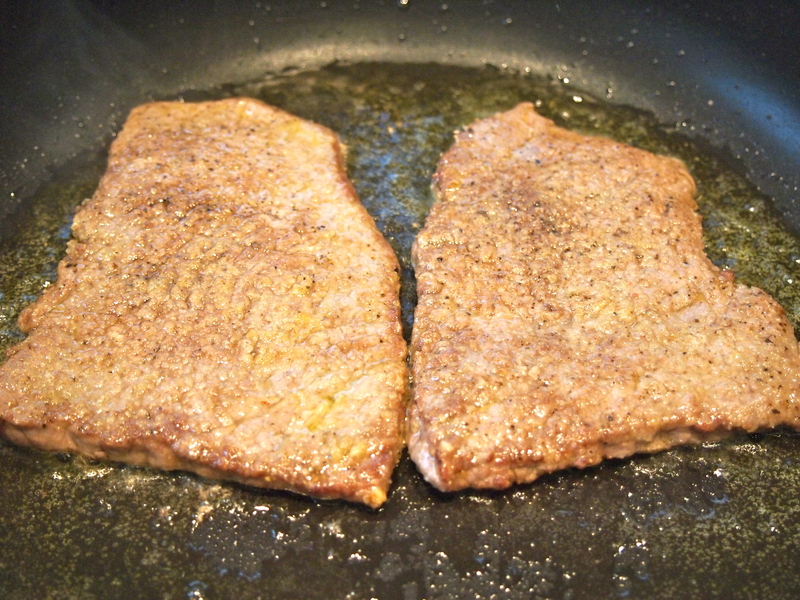 Heat some olive oil in a non stick fry pan over medium hat and when hot add the veal and cook for a couple of minutes on each side. Remove from the pan and set aside. 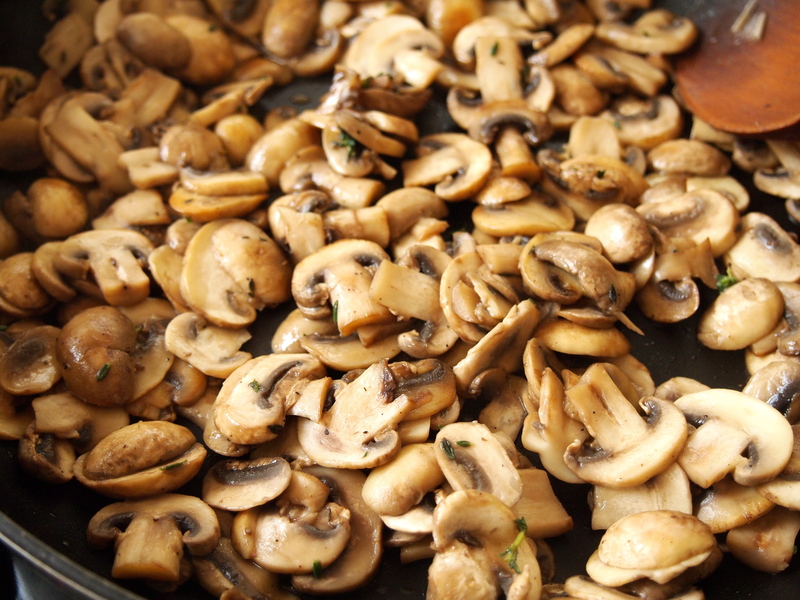 In the same frypan add a little more oil and add the sliced mushrooms and thyme leaves. Cook and stir until the mushrooms have wilted and are soft and starting to brown. Season with salt and pepper and set aside. 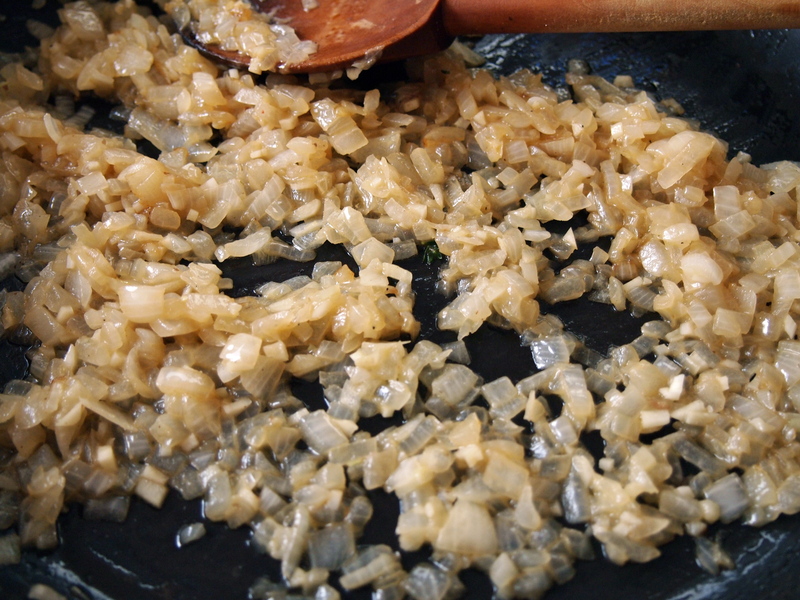 In a small saucepan heat the butter and add the onions. Cook the onions over medium low heat for about 5 minutes or until soft, be careful not to get any colour on them. Add the flour and stir it into the onion and butter mixture for a minute or two then whisk in the milk. Keep whisking until the mixture comes to the boil and thickens, you want to achieve a spoonable consistency. Remove from the heat and season with salt and pepper. Preheat the oven to 200C. 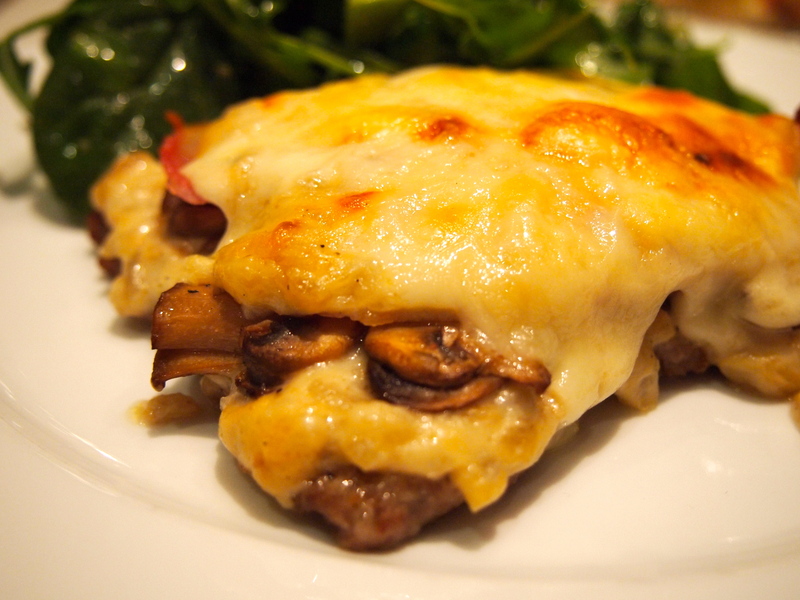 To assemble the dish lay the veal in a baking dish that will hold the scallopini in one layer, something not too deep. Spoon on half of the onion white sauce onto each slice of veal to thinly cover. 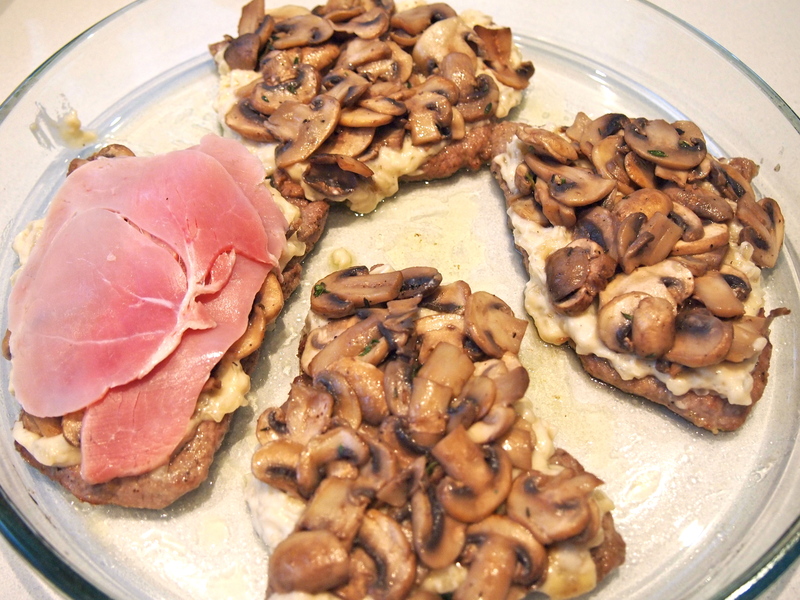 Add a layer of mushrooms followed by the ham slices. 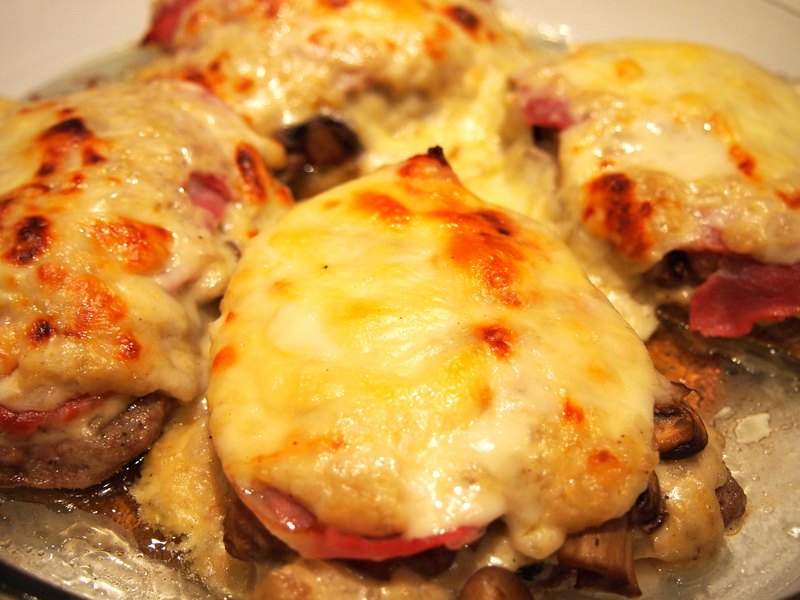 Cover the ham with the remaining white sauce and then top each scallopini with enough fontina cheese to cover. 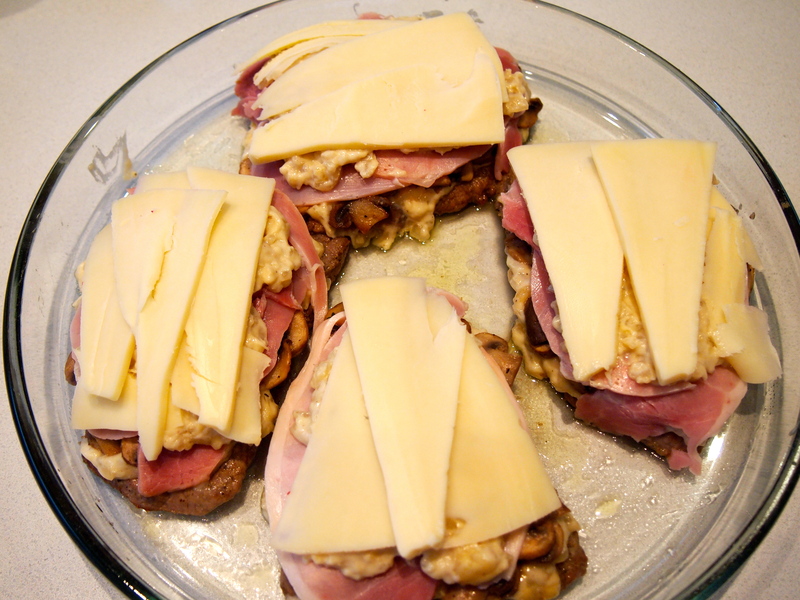 Bake in the oven for 20 – 25 minutes until heated through and golden brown. Awesome dish! It’s now on my monthly rotation list of favorite dishes. So glad you enjoyed the dish, Del! I actually haven’t made this in quite a while and seeing your comment has jogged my memory – I’ll make it again this weekend.